Angelika Langen has been rehabilitating bears at the Northern Lights Wildlife Society in Smithers, B.C., for 27 years. But this summer proved especially difficult, after a number of animals she’d been treating died unexpectedly. With each death, she could feel her resolve crack. “That takes a huge chunk out of your heart every time,” said Langen, who lives outside of the northern B.C. town. Sometimes the loss leads her to consider quitting. After B.C.’s record-setting wildfire season, Langen is bracing to treat a number of animals, specifically bears, that have been displaced by the blazes. While many people across the province have been forced to flee their homes due to wildfires, so too have wildlife. Fires rip through forests, destroying habitats and burning food sources. It’s not often that Langen treats a bear with a direct injury from a wildfire, but the indirect effects keep her busy. When a bear is forced out of its territory, it will move in search of a new home. However, that new home may already be inhabited, at which point the bears will fight each other to lay claim to the patch of land. Usually, the weaker bear will be pushed further away in search of food, creating a ripple effect, according to Langen, until it wanders into an urban area, sniffing out garbage cans for food. This represents a danger to the public and to the bear. After a wildfire, Langen says she often treats bears suffering from dehydration and malnutrition. 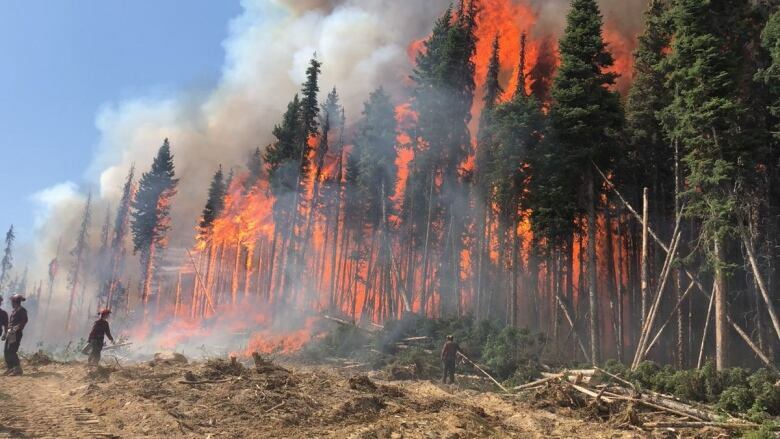 Although wildfires often cause disruption and harm to people and wildlife, there is a small silver lining, said Cole Burton, a University of British Columbia assistant professor of forestry. “Fire is a natural force of renewal in the ecosystem,” said Burton. He says a fire can clear out bigger vegetation and lead to the germination of seeds in the soil, creating conditions that allow certain plants to grow better. “Sometimes that new growth is very nutritious and abundant, high-quality forage,” said Burton. Langen typically sees bears in need of aid once the wildfires have ended, so she’s using this period to remind the public that the best way to help is to leave bears alone. Too often, someone will see a skinny bear and leave out food or water, she said. Very quickly, the bear will learn to expect food and eventually return for more. “Even though you feel bad, you really need to make sure that you do not give that kind of assistance because it does not lead to a good end,” said Langen. This entry was posted in Bears and tagged catastrophic fires, rescue by Exposing the Big Game. Bookmark the permalink. 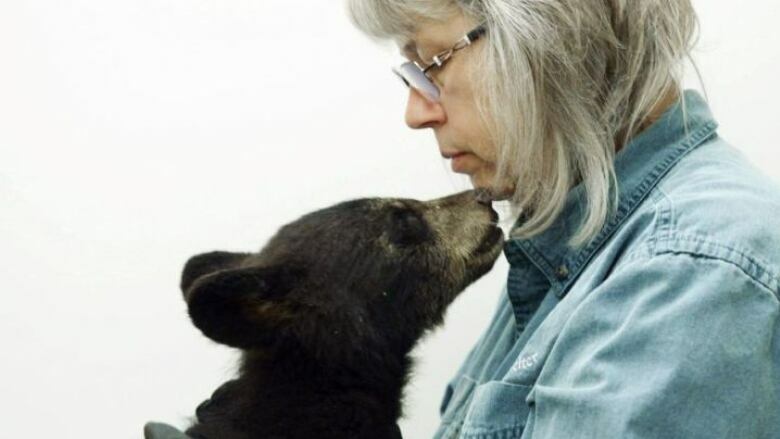 Thank you, Jim, for this article on this brave woman and her wildlife sanctuary. I get disgusted when I see all the article about all the wildfires and “how many structures have been destroyed.” What about the wild lives destroyed, with their habitat? Bears here in the SW have suffered as well, as Climate Change worsens. Finally, now, we have gotten some rain, but the deficits will not be made up. Not in this New World of Climate Change.